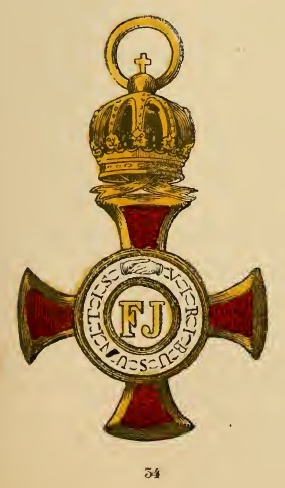 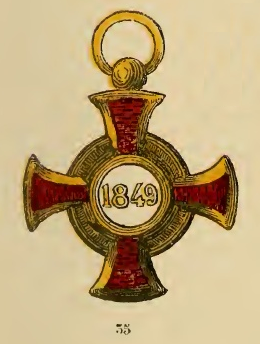 This cross was founded on the 16th February, 1850, as a substitution for the previous "Civil Medal of Honour". The Cross consists of four classes. The first is of gold with a crown above it (No. 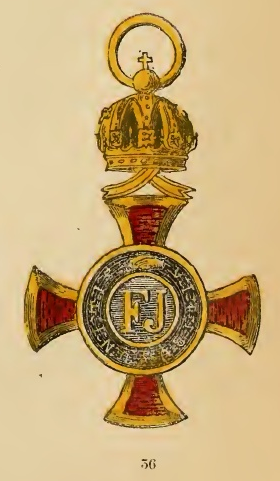 34) ; the second is likewise of gold but without crown ; the third is of silver with a crown ; and the fourth of silver without a crown. 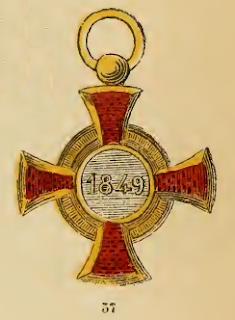 The Cross is worn at the button hole, or in a knot, on the left breast, suspended by a deep red ribbon.